Creates the second largest independent technology integrator in government services, with $6.5 billion of pro-forma last 12 months’ revenue. Accelerates both companies’ long-term strategies, creating market sub-segment scale in strategic business areas of national interest, to include space and intelligence. $2.5 billion all-stock transaction, including the assumption of $900 million of Engility’s debt; $2.25 billion net of the present value of tax assets. More than $375 million in pro-forma annual free cash flow, aided by substantial tax attributes, enhances capital deployment flexibility. Accretive to cash EPS driven by expected net cost synergies of $75 million, greater customer access, and more competitive and differentiated solutions. Transaction will deliver a broader range of innovative services and solutions to our customers and expand employee career opportunities. RESTON, Va. & CHANTILLY, Va.
"The combined capabilities of the two companies will have the capacity and differentiated solutions that can best meet our customers’ demands and take advantage of improved market conditions." RESTON, Va. & CHANTILLY, Va.--(BUSINESS WIRE)--Science Applications International Corp. (NYSE: SAIC) and Engility Holdings Inc., (NYSE: EGL) today announced that they have entered into a definitive agreement under which SAIC will acquire Engility in an all-stock transaction valued at $2.5 billion ($2.25 billion net of the present value of tax assets), creating the second largest independent technology integrator in government services with $6.5 billion of pro-forma last 12 months’ revenue. The combination of these two complementary businesses will accelerate SAIC’s growth strategy into key markets, enhance its competitive position and provide significant financial benefits. The transaction will create market sub-segment scale in strategic business areas of national interest, such as defense, federal civilian agencies, intelligence, and space. In addition, it expands the capabilities of both companies, bringing additional systems engineering, mission, and IT capabilities to a broader base of customers. The combination will enhance shareholder value creation, with greater customer access and more competitive and differentiated solutions, supported by more than $375 million in pro-forma annual free cash flow to enhance capital deployment flexibility and $150 million of expected annual gross cost synergies ($75 million of expected annual net cost synergies, after consideration of the pro-forma company’s cost type contract mix). Upon closing, SAIC shareholders will own approximately 72% and Engility shareholders will own approximately 28% of the combined company on a pro forma, fully diluted basis. Under the terms of the merger agreement, Engility stockholders will receive a fixed exchange ratio of 0.450 shares of SAIC common stock for each share of Engility stock in an all-stock transaction. Based on an SAIC per share closing price of $89.86 on September 7, 2018, the transaction is valued at $40.44 per share of Engility common stock or $2.5 billion in the aggregate, including the repayment of $900 million in Engility’s debt. SAIC has obtained a financing commitment letter from Citigroup Global Markets Inc. for a new seven-year senior secured $1.05 billion term loan facility under our existing credit agreement. The proceeds will be used to repay Engility’s existing debt and associated fees. SAIC expects no immediate change to its quarterly cash dividend as a result of this transaction. The transaction is expected to close by the end of the fiscal fourth quarter ending February 1, 2019, following customary closing conditions, including regulatory and SAIC and Engility shareholder approvals. The transaction has been unanimously approved by both Boards of Directors. The businesses will continue to operate separately until the transaction closes. The combined company will retain the SAIC name and continue to be headquartered in Reston, Virginia. Following closing, Tony Moraco will continue as CEO and as an SAIC Board member. SAIC will expand its board to include two additional members from Engility’s Board of Directors. Citigroup Global Markets Inc. acted as lead financial advisor and Stone Key Partners LLC acted as co-financial advisor to SAIC. Morrison & Foerster LLP served as legal counsel. Arnold & Porter provided financing legal counsel. Renaissance Strategic Advisors Ltd. provided business due diligence and strategy support services. Guggenheim Securities served as lead financial advisor to Engility, and Weil, Gotshal, & Manges LLP and Bass, Berry and Sims PLC acted as legal counsel. Fairmont Consulting Group provided business due diligence services. Morgan Stanley & Co. LLC also provided financial advisory services to Engility. After the call concludes, an audio replay can be accessed on both companies’ Investor Relations websites or by dialing 1-888-203-1112 (toll-free U.S.) or 1-719-457-0820 (International/Local) and entering passcode 611385. 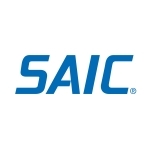 In connection with the proposed acquisition of Engility, SAIC will file with the SEC a registration statement on Form S-4 to register the shares of SAIC common stock to be issued in connection with the merger. The registration statement will include a joint proxy statement/prospectus which will be sent to the shareholders of SAIC and Engility seeking their approval of the proposed transaction. WE URGE INVESTORS AND SECURITY HOLDERS TO READ THE REGISTRATION STATEMENT ON FORM S-4, THE JOINT PROXY STATEMENT/PROSPECTUS INCLUDED WITHIN THE REGISTRATION STATEMENT ON FORM S-4 AND ANY OTHER RELEVANT DOCUMENTS FILED OR TO BE FILED WITH THE SEC IN CONNECTION WITH THE PROPOSED TRANSACTION BECAUSE THESE DOCUMENTS DO AND WILL CONTAIN IMPORTANT INFORMATION ABOUT SAIC, ENGILITY, AND THE PROPOSED TRANSACTION. Investors and security holders may obtain copies of these documents free of charge through the website maintained by the SEC at www.sec.gov or from SAIC at its website, www.saic.com, or from Engility at its website, www.engility.com. SAIC, Engility, and their respective directors, executive officers, and other employees may be deemed to be participants in the solicitation of proxies from the stockholders of SAIC and Engility in connection with the proposed transaction. Information about SAIC’s executive officers and directors is set forth in its Annual Report on Form 10-K, which was filed with the SEC on March 29, 2018 and its proxy statement for its 2018 annual meeting of stockholders, which was filed with the SEC on April 25, 2018. Information about Engility’s executive officers and directors is set forth in its Annual Report on Form 10-K, which was filed with the SEC on March 2, 2018, and the proxy statement for its 2017 annual meeting of stockholders, which was filed with the SEC on April 13, 2018. Investors may obtain more detailed information regarding the direct and indirect interests of SAIC, Engility, and their respective executive officers and directors in the transaction by reading the preliminary and definitive joint proxy statement/prospectus regarding the transaction, which will be filed with the SEC. Certain statements in this written communication contain or are based on “forward-looking” information within the meaning of the Private Securities Litigation Reform Act of 1995 that involves risks and uncertainties concerning the proposed transaction between SAIC and Engility, SAIC’s and Engility’s expected financial performance, and SAIC’s and Engility’s strategic and operational plans. In some cases, you can identify forward-looking statements by words such as “expects,” “intends,” “plans,” “anticipates,” “believes,” “estimates,” and similar words or phrases. Forward-looking statements in this written communication include, among others, statements regarding benefits of the proposed acquisition (including anticipated future financial operating performance and results), estimates of future revenues, operating income, earnings, earnings per share, charges, backlog, outstanding shares and cash flows, as well as statements about future dividends, share repurchases and other capital deployment plans. These statements reflect our belief and assumptions as to future events that may not prove to be accurate. Actual performance and results may differ materially from the forward-looking statements made in this written communication depending on a variety of factors, including: the possibility that the transaction will not close or that the closing may be delayed; the possibility that SAIC or Engility may be unable to obtain stockholder approval as required for the transaction or that the other conditions to the closing of the transaction may not be satisfied; the risk that Engility will not be integrated successfully into SAIC following the consummation of the acquisition and the risk that revenue opportunities, cost savings, synergies and other anticipated benefits from the merger may not be fully realized or may take longer to realize than expected, diversion of management’s attention from normal daily operations of the business and the challenges of managing larger and more widespread operations resulting from the acquisition, difficulties in entering markets in which we have previously had limited direct prior experience, the potential loss of customers and other business partners following announcement of the acquisition, our ability to obtain financing on anticipated terms, compliance with new bank financial and other covenants, assumption of the known and unknown liabilities of the acquired company, recordation of goodwill and nonamortizable intangible assets subject to regular impairment testing and potential impairment charges, incurrence of amortization expenses related to certain intangible assets, assumption that we will enjoy material future tax benefits acquired in connection with the acquisition, developments in the U.S. government defense and intelligence community budgets, including budget reductions, implementation of spending cuts (sequestration) or changes in budgetary priorities; delays in the U.S. government budget process or approval to raise the U.S. debt ceiling; delays in the U.S. government contract procurement process or the award of contracts; delays or loss of contracts as result of competitor protests; changes in U.S. government procurement rules, regulations and practices; our compliance with various U.S. government and other government procurement rules and regulations; governmental reviews, audits and investigations of our company; our ability to effectively compete and win contracts with the U.S. government and other customers; our ability to attract, train and retain skilled employees, including our management team, and to retain and obtain security clearances for our employees; our ability to accurately estimate costs associated with our firm-fixed-price and other contracts; cybersecurity, data security or other security threats, systems failures or other disruptions of our business; resolution of legal and other disputes with our customers and others or legal or regulatory compliance issues, including in relation to the transaction; the occurrence of any event, change or other circumstances that could give rise to the termination of the transaction agreement; our ability to effectively deploy capital and make investments in our business; our ability to maintain relationships with prime contractors, subcontractors and joint venture partners; our ability to manage performance and other risks related to customer contracts; the adequacy of our insurance programs designed to protect us from significant product or other liability claims; our ability to declare future dividends based on our earnings, financial condition, capital requirements and other factors, including compliance with applicable laws and contractual agreements; and our ability to execute our business plan and long-term management initiatives effectively and to overcome these and other known and unknown risks that we face. These are only some of the factors that may affect the forward-looking statements contained in this written communication. You should be aware that new factors may emerge from time to time and it is not possible for us to identify all such factors, nor can we predict the impact of each such factor on the proposed transaction or the combined company. For further information concerning risks and uncertainties associated with our business, please refer to the filings on Form 10-K, 10-Q and 8-K that we or Engility make from time to time with the SEC, including the “Risk Factors,” “Management’s Discussion and Analysis of Financial Condition and Results of Operations” and “Legal Proceedings” sections of our and Engility’ Annual Report on Form 10-K which may be viewed or obtained through the Investor Relations section of our web site at www.saic.com or Engility’s web site at www.engility.com. All information in this written communication is as of the date hereof. SAIC and Engility expressly disclaims any duty to update any forward-looking statement provided in this written communication to reflect subsequent events, actual results or changes in SAIC’s or Engility’s expectations. SAIC and Engility also disclaims any duty to comment upon or correct information that may be contained in reports published by investment analysts or others.